The government raised a record Rs 77,417 crore from sale of its stake in public sector units in 2018, and the disinvestment programme is headed for another blockbuster year in 2019 with planned privatisation of national carrier Air India. The BJP-led NDA, which in its previous stint privatised the most number of PSUs ever, continues to shy away from the outright sale of bluechip state firms to the private sector in the present regime and is instead pursuing a newfound strategy of merging companies to meet its revenue targets. While big-ticket disinvestments, including ONGC's acquisition of HPCL, CPSE ETF, Bharat-22 ETF, and Coal India stake sale, along with 6 initial public offerings (IPO) brought Rs 77,417 crore to the government coffers last year, while the year was marred by botched attempt of the government to sell 74 per cent stake in Air India. The government has now firmed up a fresh plan for the sale of the airline. 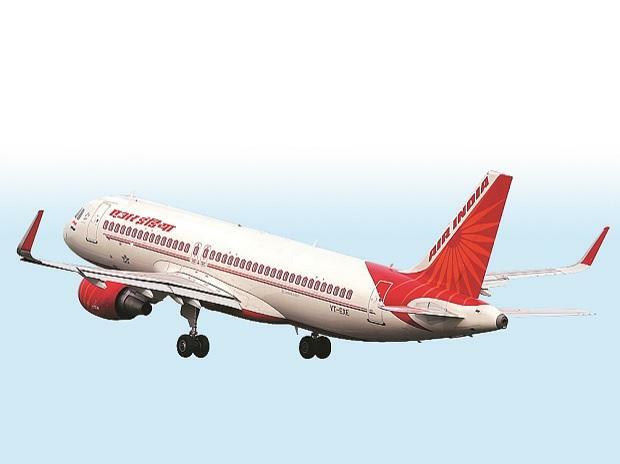 As part of the plan, it will sell subsidiaries, like Air India Air Transport Service Ltd (AIATSL), Air India Engineering Services Ltd (AIESL), and land and building assets of Air India separately to help trim Rs 29,000 crore debt burden of the national carrier. Alongside, the government will continue to infuse funds into the airline to keep it viable, and finally sell it after extensive deliberations with potential investors to ensure that the airline gets the best valuation. The subsidiaries and assets alone are expected to fetch the government close to Rs 9,000 crore. The first off the blocks in strategic sale plan for 2019 will be Pawan Hans where the government holds 51 per cent, while oil major ONGC holds the remaining stake. The sale of helicopter service provider Pawan Hans is expected to be completed by March. Besides, buyback programme of as many as 10 CPSEs, including ONGC, Indian Oil Corp, Oil India, NLC, BHEL and NALCO, are on course, which could fetch about Rs 12,000 crore to the exchequer. CPSE (Central Public Sector Enterprise) merger and acquisitions will be one of the focus areas of the government this year as it waits to see PFC's (Power Finance Corporation) plan to buy out government stake in Rural Electrification Corporation (REC) for an estimated Rs 15,000 crore fructify. The next such M&A deal will be NTPC, buying government stake in SJVN for about Rs 6,000 crore. These M&As are being planned in the lines of ONGC-HPCL deal, which happened in January last year. ONGC bought government's entire 51.11 per cent stake in oil refiner HPCL for Rs 36,915 crore. Budget targets for disinvestment proceeds are fixed for the financial year beginning April and ending in March. The ONGC-HPCL deal helped the government cross the magical Rs 1 lakh crore mark in disinvestment mop-up in 2017-18 fiscal, up from Rs 72,500 crore target. For the ongoing 2018-19 fiscal, which ends in March 2019, the target has been set at Rs 80,000 crore. The year 2018 saw IPO of two CPSEs from railway sector -- RITES and IRCON. Four more CPSEs -- Hindustan Aeronautics, Bharat Dynamics, Mishra Dhatu Nigam and Garden Reach Shipbuilders and Engineers -- also made their debut on the stock exchanges last year. With markets remaining volatile for the most part on account of geopolitical tensions and trade war concerns, the offer for sale (OFS) route for CPSE disinvestment was not tapped much in the last year. The government raised Rs 5,218 crore from Coal India share sale in November and Rs 1,200 crore from NMDC stake sale in January. Exchange Traded Fund (ETF) emerged as the most viable route for CPSE share sale with CPSE ETF garnering Rs 17,000 crore and Bharat-22 ETF Rs 8,325 crore. This year will see more of ETF offering, even as the government goes on to test waters with the launch of a debt ETF to help CPSEs and public sector banks to raise capital to meet their capital expenditure needs.